This month has been a lucrative one for online casino players around the world. Numerous big wins have been announced throughout November, and now Vera&John Casino has joined the list by announcing their latest lucky winner. Jan, a player at Vera&John’s UK casino, has been the latest player at the casino to score a major cash win. In fact, the jackpot in question is record-breaking, topping the recent win from their player Simon who won £18,453 on the Mega Joker slot. Jan was playing some of her favourite iPad slots on the night that she won an impressive £29,430. However, the player certainly got more than she bargained for when she was awarded £70,570 more than she had originally won, totalling her winnings at a life-changing £100,000! The big win was thanks to Vera&John Casino’s Guaranteed Winnings rule, which states that if the player who scores the biggest win of the day wins a jackpot under £10,000, they will top up the win in question to that amount. Alternatively, at the end of the month, the player who lands the biggest win will have it increased to £100,000. Jan’s October win was the largest at Vera&John for that month, which means that she ultimately received £100k into her account. The new Vera&John winner was playing the Monopoly Big Even mobile slot from Barcrest when she hit the jackpot. This slot is modelled after the classic Monopoly board game, offering symbols that include the instantly recognisable Hasbro man and his quintessential top hat. The slot offers bets from 0.20 to 500.00, as well as progressive multipliers in the Big Bet game. Jan had been playing the slot on and off for a few days before her big win landed, winning her £29,430 in a single spin. The lucky player decided to cash out her winnings immediately instead of spending them as slots credits. However, it wasn’t long before the Vera&John Casino promotion kicked in, adding an extra £70,570 to her bankroll. 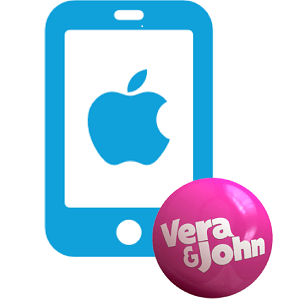 When contacted by her casino, the player described her win as “wonderful” and stated that she loved Vera&John’s customer support. “The promotions are second to none,” mentioned Jan, also saying that she enjoys the site’s tournaments and community challenges such as the Guaranteed Winnings awards.